First, the media reported that the NRA has banned guns at its annual meeting in Dallas during speeches scheduled for Friday by President Trump and Vice President Mike Pence. But then the media soon acknowledged that the gun ban was the Secret Service’s decision – not the NRA’s. And following that admission of error, many in the media still derided the NRA for not pushing back on the Secret Service’s gun ban. Piling on, USA Today, the New York Times, national television news broadcasts and other mediaacross the country also joined in the criticism of the NRA. There was even criticism from international media. Student activists from the high school in Parkland, Florida that was the scene of a mass shooting where 17 people were killed Feb. 14 called the NRA hypocritical. But there is an obvious and very simple response. Protecting the president and vice president of the United States from assassination is not the same as protecting a group of people from a mass public shooting or protecting you or me from being robbed on a dark street. First, the president and vice president already have armed Secret Service agents flooding an area and guarding each of them. Local police are also always on hand to help provide security. Ordinary citizens don’t have this kind of protection. 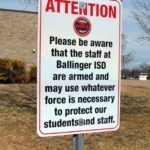 Second, if a shooter has only one big target, the attack might be over with a single shot before gun permit holders have a chance to respond. So having armed NRA members in the audience for the Trump and Pence speeches wouldn’t provide any protection to the president and vice president beyond what the Secret Service and police already provide. By contrast, mass public shooters are trying to kill as many people as possible. They know that the more people they kill, the more media attention they receive. If the target is protected by a couple of uniformed officers, killers will know to take out the officers first. Alternatively, mass shooters can move on to an unprotected target. This gives them a strategic advantage that . . . These kinds of stories seem to float around every time someone with a Secret Service detail speaks at an NRA convention. When will the Lamestream media ever learn? The most UN-informed people on the planet are our so-called “news” outlets. Fred Miller, no the most UN-informed people on the planet are the ones that believe what the mainstream media promotes as fact, and there are plenty of weak minded fools that do. It’s truly astonishing, comical really, how the Parkland anti-gun civil rights survivors call the NRA hypocritical when anti-gun proponents, some with ten’s of millions of dollars at their disposal, are routinely seen in public with very well armed bodyguards and security details. The banners may talk about a hate of guns and NRA members but the hypocrisy they live by says they love guns – for them, not you. It has become obvious, actually a long time ago, the Socialist want dead law abiding citizens. That allows them to ease the way into tyranny. When only violent criminals and government are armed, citizens are no longer safe.